I’m a mum of three and we’ve been spending our holidays at Haven for as long as I can remember – mainly because they’re so focused on making sure the kids have a great time. And they do – from start to finish Emma, Jess and Archie are in their element, begging us to let them have five more minutes in the pool or to come back again as soon as possible. 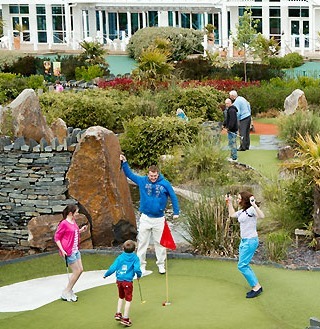 But if being a seasoned Haven holidaymaker has taught us anything, it’s that holiday parks aren’t just for kids. Yes, they’re mainly centred on family holidays but as parents we’ve found plenty to keep us occupied too. So if you’re planning Easter breaks at Haven this year, take a look at my list of top things for parents to do – you might be surprised about what there is! Golf has to be number one because my husband thought it was the best thing since sliced bread when he discovered Hafan Y Môr had its own golf course. We’ve been on a few holidays in Wales with Haven but it was when we went there in Easter 2013 that I became a golf widow. It’s been our little in-joke ever since because he really caught the golfing bug on that holiday and was as bad as the kids begging me if he can go and play. Since my husband spent so much time playing golf last year, this year when we go to Devon Cliffs I’m planning on pampering myself from head to toe at the luxury spa complex. We’ve been looking at various Easter breaks at Haven for a while but the fact that this one has a spa definitely clinched it. The deep cleanse beauty treatments sound absolutely heavenly and I reckon I’ll be so relaxed after a professional hot stones massage that I won’t be able to move. It only costs £25 as well, which is an absolute bargain, and since they’ve also got a gym, sauna and steam room I could probably spend all day there! The beautiful scenery is something our kids never truly appreciate when we go on holiday – that’s if they can tear their eyes away from their phones and tablets long enough to even see it. They’re mainly interested in the on-park activities and having fun and why shouldn’t they be? They’re kids. But what makes Haven holidays special for us parents is that they’re in lovely areas of the country – close to gorgeous coastal scenery and mountains. Something we noticed at Hafan was that the park seemed to be incorporated into the natural environment – so you can appreciate the scenery wherever you are. In case we ever go back to Hafan, I’ve got my eye on a luxury lodge with a direct view of the coastline. Finally something that makes parents across the land rejoice – kids’ clubs. I mean, we love our kids, but we also love a few hours of peace and quiet now and again too! And to be honest, now that Emma’s 10 and Jess is 8 I can see them both itching for a little bit of independence from us. In fact, they usually ask us if they can go to the kids’ club. Playing games and taking part in activities with other kids of their own age is more fun than hanging about with us oldies and it gives us parents chance to spend some quality time together. There are four different kids’ clubs at Haven, ranging from the under 4s to the over 13s, and the activities are tailored to suit each age group. And while the kids are having fun, we can go for a relaxing walk along the beach or a nice meal. As for this year’s Easter holiday, we’re already looking at UK holiday deals at Haven and trying to decide which park to visit! 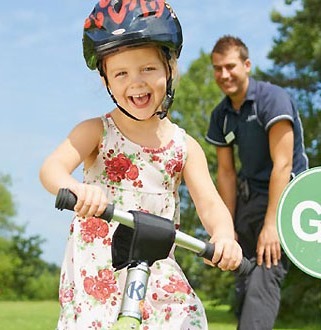 Have you got any more tips for things for parents to do on holiday parks? Let us know!